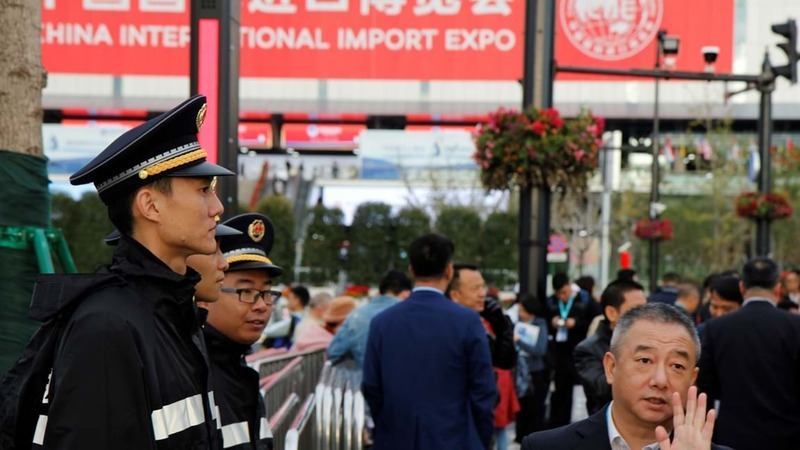 Security was top-notch in Shanghai during China’s biggest import fair, where 400,000 participants from all over the world were gathered under the theme of Chinese imports. President Xi Jinping intends to show the world that China is open to trade with the country’s first import fair. Million and billion-dollar deals with international companies are meant to underline the message. But China is attempting to prove them wrong. In an exhibition area equivalent to 42 football pitches, China’s president Xi Jinping invited 3,600 international companies to show what they have to offer at China International Import Expo (CIIE) last week. In return for companies’ attendance, China has pledged trillions of dollars worth of imports and signed hundreds of deals to show that China is open to trade. One of China’s most renowned business executives, Jack Ma from the Chinese e-commerce giant AliBaba, echoed the president’s retort to Trump’s tariffs, albeit in slightly blunter words. At CIIE he deemed trade war “the most stupid thing in this world”, and together with that declaration he offered a word of advice to the rest of the world. “Sell to China – online, offline, anyway you can – you just have to do it. Otherwise, years later, you will be left with a missed opportunity,” said an enthusiastic Jack Ma. In connection with CIIE, Alibaba announced that the company would import US$200 billion of goods to China over the next five years. Several Danish companies have reported that negotiations with Chinese firms and authorities – which, in some cases, had been completed months ago – could only be finalised at CIIE. 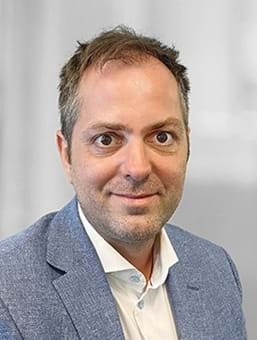 "A major political game is taking place, and CIIE is in many ways a physical manifestation of Xi Jinping's stated intentions of promoting multilateralism and open markets," says Glen Mikkelsen, head of the Confederation of Danish Industry’s activities in China. He emphasises that this is very much about filling the space that Donald Trump’s America currently leaves open. However, while the deals and pledges are impressive, DI’s director in China is waiting to see whether they also have a real impact, because China still has a difficult economy in a number of areas. “For many, it is rather paradoxical that Xi Jinping is now taking on the role of advocate of free trade. Market access in China has been and continues to be limited. Many companies still find that public procurement is off limits, and in many cases genuine market access still requires that you compromise your IPR rights in return for access to lucrative business,” he says. The same does not apply to China’s activities in the West, and that is what lies at the core of the legitimate American and European complaints. There is quite simply a lacking exchange of fair terms, Glen Mikkelsen notes, but also emphasises that there are continuous improvements and widening access in a number of areas. “China is making big progress in relation to IPR, because now they themselves also need protection. Meanwhile, more and more industries are opening up for free competition on paper. This is both because they have established themselves within strategically important sectors such as finance, automotive and e-commerce so they are not at risk of being overcome, and because China needs sophisticated technology and know-how from the West,” he says. The DI director therefore understands the dilemma of the many companies who want even better regulations, but also agrees with Jack Ma. “The reality is that very soon this will become the world’s biggest market, and in 20-25 years China will be equivalent to the US and Europe combined in terms of volume. We need to update the rules of the game, but we’re probably far beyond the point where these can be dictated by the US or the West,” says Glen Mikkelsen. The Confederation of Danish Industry (DI) and sixteen Danish companies represented Denmark and Danish solutions at China International Import Expo in Shanghai (CIIE). In collaboration with State of Green, Food Nation and the Danish Consulate General in Shanghai, the companies presented goods and green solutions to thousands of Chinese and international buyers.